Idrissa Akuna Elba was born on 6 September 1972, in Hackney, London England, to a Sierra Leonean father, Winston, and Ghanaian mother, Eve, who married before migrating to England, and now known as Idris Elba, is an actor, musician and producer, best known for his appearances in such television shows and movies as “Luther”, “American Gangster”, “Thor” and “Pacific Rim” among many others. During his career Idris has been nominated for and has won various awards, including BET, NAACP Image, Primetime Emmy, Golden Globe Awards and others. In addition, Idris is also known as a musician, and has even released some singles, and also produced songs of other artists. So how rich is Idris Elba? It is estimated by authoritative sources that Elba’s net worth is over $12 million, the main source being his career as an actor which began in the mid-’90s, and there would be no surprise if Idris’ net worth grew in the future. In 1986 Elba became interested in the DJ business while helping his uncle organise various events, and soon created his own DJ company. When he was 19 years old, Idris began performing at various nightclubs, then eventually began auditioning for various television shows. 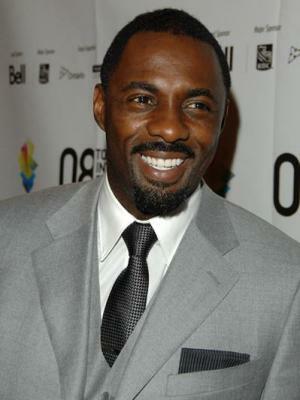 In 1995, he was cast in the show called “Bramwell”, and from that time, Idris Elba’s net worth really began to grow. Later, he also appeared in such TV shows as “The Bill”, “Family Affairs”, “Ultraviolet” and “Dangerfield” among many others, which all added steadily to Idris’ net worth. In 2002 he was cast in the TV series “The Wire”, in which also became popular in the US, portraying Russell “Stringer” Bell in the series through 2004, then in 2005 he appeared as Captain Augustin Muganza in “Sometimes in April”, an HBO film depicting the Rwandan Genocide, followed by a role in the 2007 BET special Black Men: The Truth. He also appeared as Charlie Gotso in “The No. 1 Ladies’ Detective Agency”, filmed in Botswana which premiered on BBC One in March 2008, attracting a high 6.3 million viewers, 27% of the TV audience share in the time slot. Then in 2009, he received an invitation to play the title character in the TV series “Luther” which ultimately became one of his most famous roles, and gained him the acclaim of others in the industry, continuing until the present. Concurrently, in 2010 he was selected to play the title role in the film “Mandela: the Long Walk to Freedom”, which attracted above average reviews, but wide praise for Idris’ performance, considerably enhancing his net worth. When speaking about his further career in the movie industry, he has appeared in such movies as “28 Weeks Later”, “Daddy’s Little Girls” and “Prom Night” among many others, including “Pacific Rim”, “Thor”, “Prometheus” and “Ghost Rider: Spirit of Vengeance”. These movies also added to Elba’s reputation, and had a huge impact on the growth of Idris Elba’s net worth. Idris is also known as a musician and producer. He has worked with Giggs, Angie Stone, Pharoahe Monch, Noel Fielding and other artists. Idris has released several extended plays himself, for example “Big Man”, “Idris Elba Presents mi Mandela”, “King Among Kings” and others. In his personal life, Idris has 2 children, one from a previous marriage, and a son with long-time girlfriend Naiyana Garth. Aside from the several awards previously mentioned, in 2017 Idris won the interestingly named title of “Rear of the Year” for males in the UK. He has residences in London, New York City and Los Angeles.